Boats are a common sight in waters along Florida’s coastline and in the interior lakes and rivers. Spending the day on a boat is usually viewed as a relaxing experience that is often intended to allow for a momentary escape from the stresses of daily life. One downside of the easy and casual attitude most people have towards boating is the lack of appreciation of the danger these watercraft pose. Boating accidents do regularly occur, and can lead to serious injury and death. When this happens, the next question often becomes whether to file a personal injury lawsuit to recover compensation for the harm suffered. In 2016 alone, over 400 people were injured in boating accidents, and 67 people lost their lives. These are not insignificant numbers, and they underscore the fact that boats require the same care and attention people apply when driving cars. Just like driving on the road, piloting a boat has rules and regulations designed to limit accidents. Thus, boat operators have the same type of duty drivers have to operate the boat in a reasonable and prudent manner. Failure to follow these rules could expose boat operators to liability for negligence if an injury was sustained. Two of the biggest issues that contribute to boating accidents are inexperienced operators and operating a vessel while intoxicated. Individuals operating a boat are required to have a driver’s license that indicates the person knows how to safely pilot the boat and understands the rules of navigation on Florida’s waterways. Florida, being a tourist destination year-round, attracts many people with little to no boating experience, but a desire to rent a boat anyway. This issue is propelled by websites that issue boating licenses based entirely on written questions, which is wholly inadequate to prepare a person to pilot a boat on open waters with currents and other boats to avoid. Florida specifically classifies boats as “dangerous instrumentalities,” which means that reckless or careless operation of the vessel will subject the operator to liability for any injuries or fatalities that occur. Violating any of the regulations that control how boats are to be piloted is enough to impose liability. Thus, citations and/or findings of such violations by the Florida Fish and Wildlife Conservation Commission will substantially bolster an injured plaintiff’s case for negligence. The second major issue that contributes to many boating accidents is operators who pilot while intoxicated. This situation is no different than driving a car while drunk, and the legal limit for intoxication is the same as well – 0.08. Piloting a boat while intoxicated endangers passengers on that vessel and anyone else in the general vicinity. Drunk operators may not recognize the presence of a hazard that must be avoided, or not appreciate the risk of operating the boats at high rates of speed. Collisions with bridges, passenger ejection, and running over persons in the water are just some of the possible ways an intoxicated pilot could injure or kill others. If an injury or fatality does occur, to hold the boat operator legally responsible for the harm, the injured party, or the family, must prove the operator was negligent. As noted above, boat operators have duty to act with care when maneuvering a boat on the water, and part of showing negligence is proving this duty was breached. Driving too fast, too close to other boats, or deliberately hitting another boat’s wake are all circumstances that indicate the duty of care was breached. Next, the actions of the operator must have directly caused the injury, leading the injured party to accumulate medical bills and incur lost wages that need to be covered. 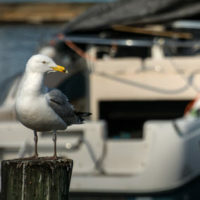 An injury from any type of accident is hard to handle, and this possibility is often overlooked by those using a boat. If you were injured in a boating-related accident, talk to the personal injury attorneys at the Miami law firm of Pita Weber Del Prado. The attorneys know how to attack these cases, and get you the compensation you deserve. Contact us for a free consultation about your case.